Xiaomi has launched a new accessory in India especially for those who like to charge their smartphone quickly while in transit. The Xiaomi Mi Car Charger Basic is the latest car-charger from the company which supports Qualcomm Quick Charge 3.0 capability. The Xiaomi Mi Car Charger Basic comes with an MRP of Rs 449, and the charger will be available via Mi.com (in Black color) from the 24th of December 2018. The Xiaomi Mi Car Charger is made using high-quality polycarbonate material with a Xiaomi Mi logo on the top with blue color LED ring, which will help users to identify the charger in the low-light and extreme dark conditions. The charger is universally compatible and can work with most of the cars with a car cigarette lighter adapter. The charger can also be used charge other devices including tablets and electronic gadgets. 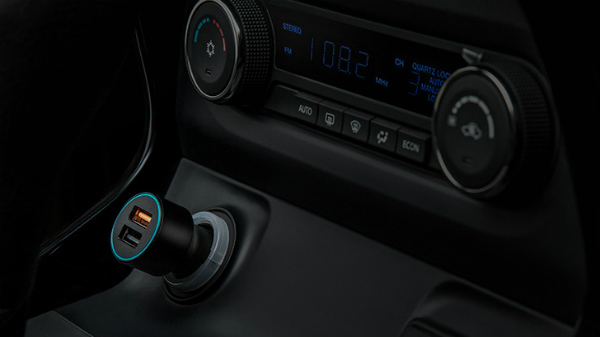 The Xiaomi Mi Car Charger Basic comes with dual USB-A ports with a standard 5W (5 volts + 1 Amp) with black color and an orange USB-A port with Qualcomm Quick Charge 3.0 15W (5 Volts + 3 Amps) or 18W (12 volts + 1.5 Amps). Depending on the device, the charger automatically switches between the power output. The charger has a compact design with a shield against output over current, output overvoltage, short circuit, high temperature using 4 layers of protection. If you are looking for a fast car charger, then the Xiaomi Mi Car Charger Basic seems like a great option, which offers an impressive value for money proposition.